Objective: To find if Earth has always looked the same and to find out what continental drift means. Task 1 - Watch the first YouTube video clip below and ask students for their feedback on what the theme of the film is. 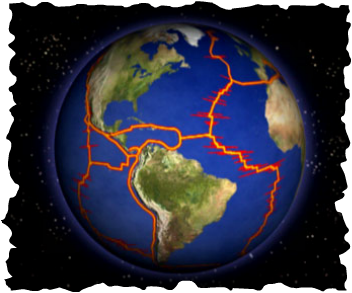 Task 3 - Watch the video below to see a brief history of continental drift. Enjoy the music! Plenary - Test yourself on the key terms covered. Objective: To find out how our earth is structured and how the top layer (crust) works. Starter: Watch the video - Layers of the Earth - below! Task 1 - Complete this worksheet on the structure of the earth. You will need to use this website to help you with task 2. 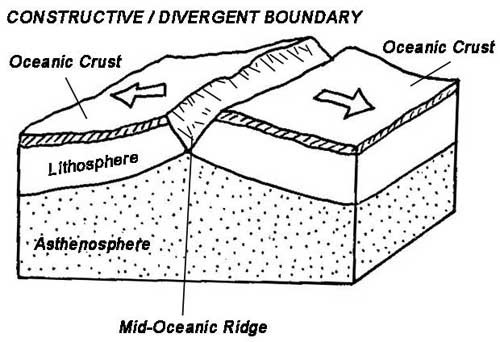 We are now going to focus on the top layer of the earth - the crust. This is the cooled down layer that has solidified a bit like skin on top of a pan of custard! 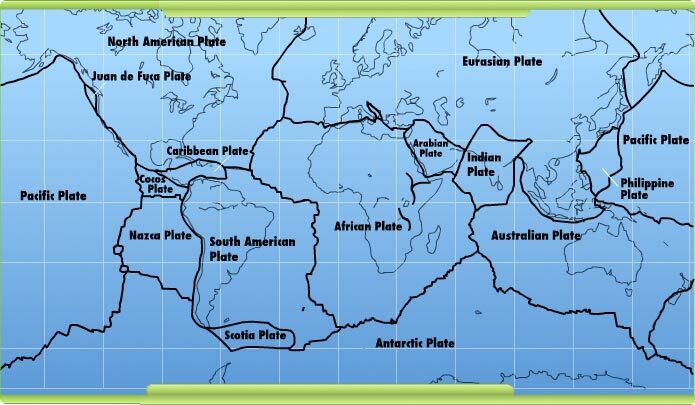 Task 2 - Using the large plate map image below (click to enlarge), complete your plate map worksheet. The first one is easier and the second is a little bit more testing as both maps are different views of the world. Are you up to the challenge? 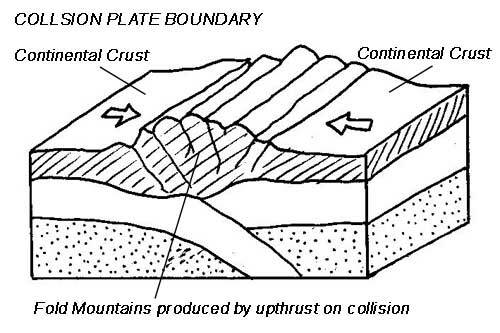 Add plate boundaries (black lines) and the names of the plates. Task 3 - Watch the video beneath that will re-visit what we have learnt so far and give you some new information on what we will be doing next. Objective: To find out what happens under the ground when two plates meet. 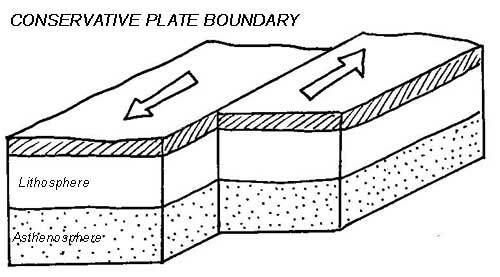 To discover the physical features that are created at plate boundaries. Teacher Resource: Lesson Plan for alternative lesson. Task 1 - Using this worksheet and the images and text below, copy and paste the correct images and statements into the correct place in the table. Use the clues in the description to help you and your completed A3 size plate maps from last lesson (see above). Check the work with your teacher and then print out a copy of your sheet for your folder. Objective: To understand how and where a volcano is created and how they erupt. Task 1 - Watch the first YouTube video to below. This gives examples of the destructive power of volcanoes. Discuss how they affect people. Task 2 - Watch the second YouTube video below and pause after 0.38 seconds. Write down how the different people in this image would feel as they saw this huge pyroclastic flow hurtling down the valley towards them. Write your thoughts on this worksheet. Task 4 - Find out about a pyroclastic flow. Watch the third video to the right hand side. Use this sheet to record your information. b. How fast can they travel? c. How hot can they be inside? d. What effect to they have on the human body? Task 5 - Find out about the most famous pyroclastic flow of all time. The place is Pompeii and the volcano is called Vesuvius. Use this PowerPoint to help you. Choice 1 - Using this famous diary written by an eyewitness, create a piece of artwork that shows the effect of the eruption of Mount Vesuvius on Pompeii. Choice 2 - Create a fact sheet using this template about the eruption and what tourists can see today if they visit Pompeii today. Clue - look at the picture below! Live On a Volcano! - you Must be Mad? Objective: To find out why people live close to violent volcanoes. Task 1 - Click on the Google logo bottom left of the map and write out a description of the location of Mount Etna. You must include the name of the island, the closest towns, the name of the country and the name of the continent. Task 2 - Click this link to see what Mount Etna is doing today! Active or Dormant? Can you see any sign of life? Task 3 - Watch the first YouTube video to the right hand side. When it has finished, complete this worksheet carefully. Go back to the Google Map above and zoom out until you can see the town of Zafferana Etnea. Found it? Here's the story. Zafferana Etnea lies about 30km south east of the crater of Mount Etna. Since 1992, the town and its inhabitants have been under threat from the volcano erupting. Check out the two videos beneath. They give you an idea why Etna worries the town so much. In the past 20 years many people have left the town and never returned. They have been too scared to stay. Mount Etna has been dormant since December 2015 and Luigi, the mayor of Zafferana, (to the right) has asked for your help. "I need to get my people back to Zafferana. How can I get them back? Many people are scared of the volcano but it is very important in many ways. Help me to fill empty houses and make this town alive again"
Inform people of the potential BENEFITS of living close to Mount Etna and how they can stop the lava from future eruptions from damaging their homes. Use the presentation to your right and the worksheet in task 3 to help you. You will only be paid if people move back to Zafferana so think carefully about how you are going to persuade them. Extra Resources - Click here for the BBC page on Mount Etna. Study this page carefully and perhaps watch 'Active Mount Etna'. Task 1 - Click here to access the Etna Booklet. Study this carefully. Task 2 - Watch this video that shows you what the American and Italian Army tried to do to stop the flow of lava towards the town of Zafferana. Task 3 - Use this framework to create a newspaper article about the eruption of Mount Etna in 2012. You may want to make reference to previous eruptions and what happened then. Stop Check: An example of good practice is here. Homework. Watch the video below (on the right) from 36 minutes until the end. Find out what happens when a famous volcanologist gets up close and personal to Mount Etna! Objective: To contruct a 3D volcano that contains annotated labels and shows some of the reasons why people live so close to volcanoes. Starter: Click here to be taken to a virtual volcano constructing site. Spend 10 minutes exploring volcanoes and then set off your own!! Task 2 - Create a suitable base for the volcano and add some features to the surrounding area. Can you remember why so many people live so close to volcanoes? Perhaps you could even include a volcanologist studying it from a safe distance! See the examples below from last year. Wow! Objective: To discover what causes earthquakes and how they can be measured. Task 2 - Study this presentation carefully and watch the embedded video. Make a copy of the 3D diagram showing the cause of earthquakes. Task 3 - Use this worksheet to design a cartoon strip to show the nine different levels of the Richter Scale. This is the scale used to measure the power of earthquakes and is based on what you would see around you. If you have access to ICT, perhaps you can use www.stripcreator.com to make your cartoon strip. Extra - As you are completing these tasks, your teacher might say a certain word or show this presentation*. Get to a safe place as soon as possible. Where could that safe place be? Task 1 - Continued. You are asked to write a brief piece of creative writing entitled ‘The earthquake through my eyes’ by a local journalist. You should first draft your piece in the back of your book, you should then present your piece on A4 plain paper, writing up your work in neat and illustrating it. Objective: To complete a 'living graphs' exercise and to find out about the different ways in which people can respond to the threat of a big quake. 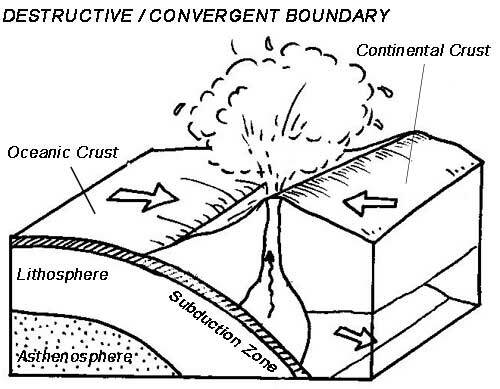 Starter: What happens during an earthquake? In pairs, complete this living graph exercise. You might want to check out the YouTube video below first to show you how a seismograph works. Keeping Safe During a Quake! 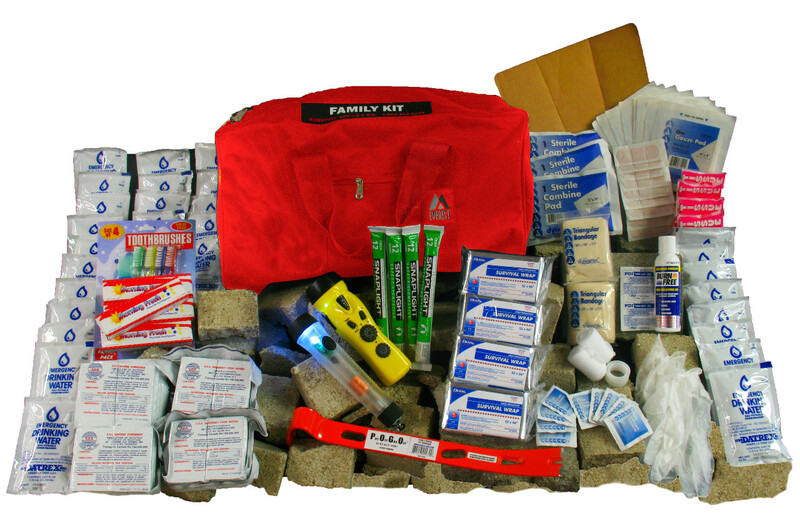 Scheme 1 - Earthquake Survival Kit. Click on the picture to the right to enlarge it. Identify five things that you recognise and write down why they would be useful to help you to survive after a quake. Click here to be taken to the task sheet. You live in Japan. Following on from the last major earthquake in 2011, the plate boundary on which Japan lies has been showing signs of activity. The Japanese Prime Minister has told all local people to put together an earthquake emergency kit that would be useful in the event of another earthquake. Scheme 2 - Designing an earthquake proof building. Study this PowerPoint carefully reading the text and studying the pictures and diagrams carefully. So, you think you know about disasters? Go to the Stop Disasters game site. Choose the language that you feel most comfortable with. Navigate through the first two pages until you come to the list of games. Choose 'Earthquake Hazard' and then choose the level of difficulty (start of with the easy level until you get used to it). At some point, the disaster will start and depending on your level of planning and preparation, many or few will die! It's up to you....... don't let them down!